Getting toner for HP Color LaserJet 4500hdn printers should be straightforward and simple. You want a cartridge that can keep up with your printer’s speed and produce high-quality results. 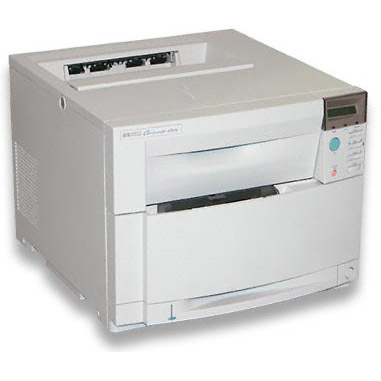 After all, your entire office depends on this workgroup laser printer to produce a moderately high volume of print work with consistent results. Original equipment manufacturer (OEM) HP toner cartridges produce excellent print work, but they’re not cheap. Buying OEM cartridges for your printer can cost you hundreds of dollars, while cheap toner alternatives often produce inferior results. However, 1ink.com’s remanufactured toner cartridges give you the same incredible print quality as well as identical product specs, all for over 70% less than the OEM retail price! You’re looking at 1ink.com’s line of remanufactured HP 640A toner cartridges. Our toner will not smear or produce blurry print work. Each cartridge is designed to install easily into your printer to produce flawless results. These remanufactured cartridges will not void your printer’s warranty and they’re covered by our 12-month satisfaction guarantee. Trust 1ink.com’s remanufactured cartridges to bring you risk-free quality print work your business can actually afford.